iOS 7 may have represented the most significant change to the look and functionality of Apple’s mobile OS in its short history, but even though the flatter, brighter interface seems to have gone down well, the luxury of the Evad3rs jailbreak has prompted themes galore. Today, we’re going to be looking at a neat little theme called Acies, which, although similar to the stock layout in that it keeps things flat, crisp and minimalistic, tones down the bright colors with a more tranquil, calm, and inviting finish. One stand-out critique of the iOS 7 icons has been that they are too bright, and while Acies does add its own quirky designs to the home screen, its main objective appears to be to offer a mature, sensible and evolved take on Jony Ive’s fledgling designs. The level of detail that has been put into each icon is stunning, and thanks to its rather understated palette of colors, has a nice warm, home-made feel to it. The icons are not only of stunning quality, but the range of icons themed means you’re not going to be left with a bunch of stick-out stock icons marring the overall look of Acies. 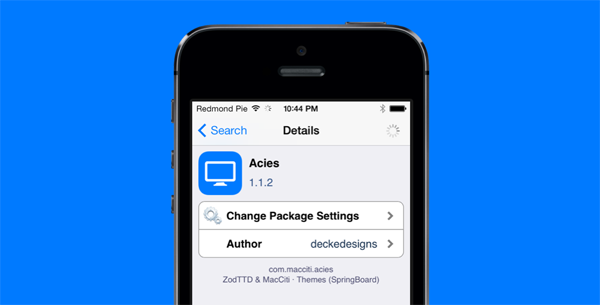 The theme can be found via the MacCiti repo, which should be among your default sources within Cydia provided that you haven’t opted to manually delete it. For $1.29, it’s well worth picking up, and if you’re looking for a subtle way to tweak the iOS experience without installing anything too drastic, then be sure to give Acies a try. 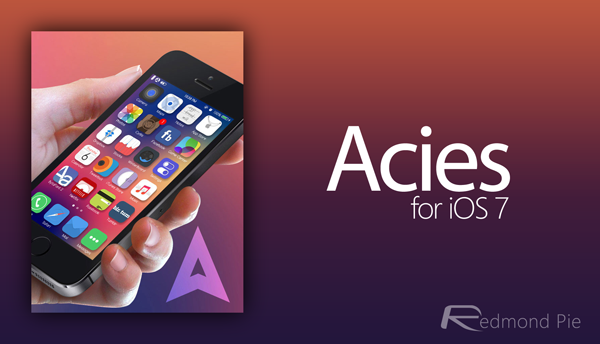 We’ve seen a bunch of great iOS 7 themes released to date, and Ayecon for iOS 7 is definitely right up there when it comes to high quality visuals, but it’s safe to say that Acies is one of our favorite new themes. 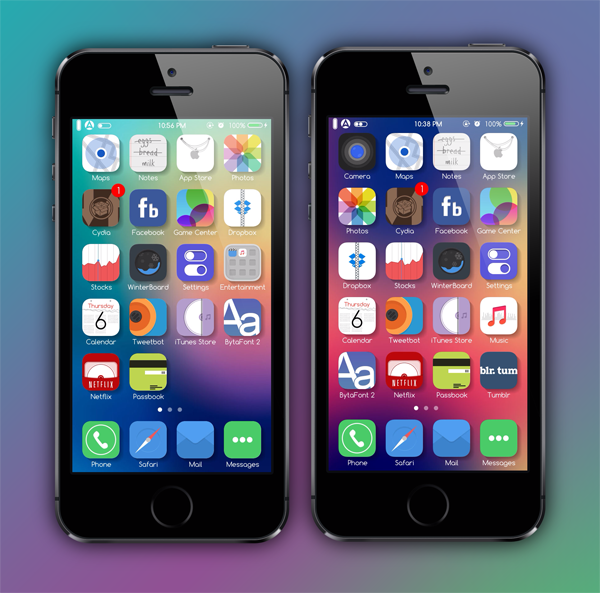 And it was just yesterday when we got a first look of Ayeris, which comes from the man behind Ayecon, therefore it would be great to see how things turn out in the coming days / weeks when more themes are released for iOS 7.